An interpreter for Egison, a **pattern-matching-oriented**, purely functional programming language. We can directly represent pattern-matching against lists, multisets, sets, trees, graphs and any kind of data types. We can find Egison programs in lib and sample directories. This package also include Emacs Lisp file elisp/egison-mode.el. We can do non-linear pattern-matching against non-free data types in Egison. An non-free data type is a data type whose data have no canonical form, a standard way to represent that object. It enables us to write elegant programs. 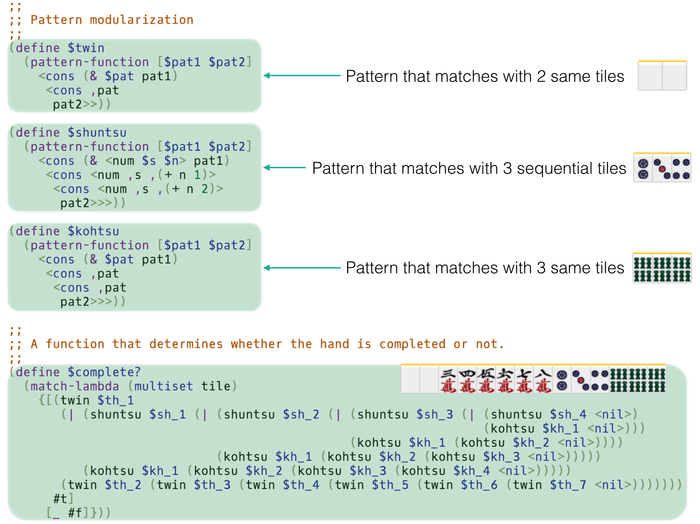 We can use pattern-matching for enumeration. The following code enumerates all twin primes from the infinite list of prime numbers with pattern-matching! 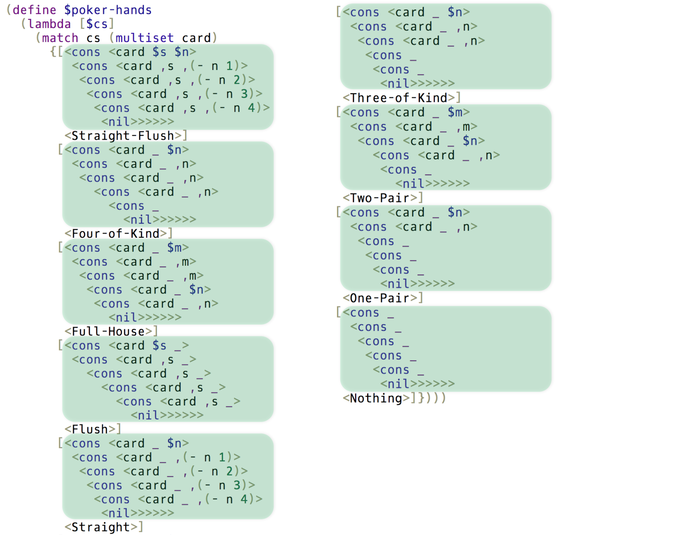 The following code is the program that determines poker-hands written in Egison. All hands are expressed in a single pattern. We can write a pattern even against mahjong tiles. We modularize patterns to represent complex mahjong hands. We can pattern-match against graphs. 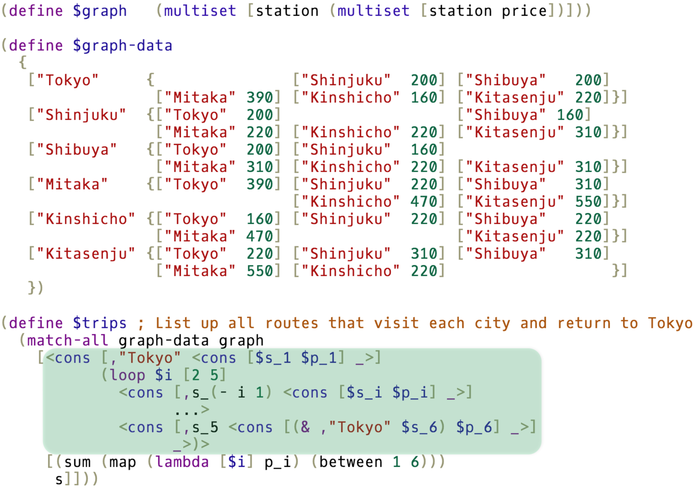 We can write program to solve the travelling salesman problem in a single pattern-matching expression. Aren't thsese exciting? We can run these demonstrations on our website! Please view and try more demonstrations! Egison makes programming dramatically simple. Please enjoy Egison!